I think I'm protein craving...where to start? Not very porous. Does not take color easily, and floats in water even after an hour. Doesn't absorb moisture easily, so it tends to be dry. I'm a 2...I think a 2B since I frizz a lot and my hair is a little resistant to being straightened. My main issues are frizz and an inconsistent wave pattern. I get big loose curls at the ends, but the roots are very straight throughout, while still being frizzy. I keep reading that protein can help with this, and since my hair is fine-ish, I think i might do well with it. Where do I start? I was thinking of trying a protein-y leave-in conditioner since it seems a little pointless to use something that just gets rinsed out. But maybe a treatment is better...? Personally, I do at least one PT a week and use a lot of products with protein. IMHO, you need to do protein treatments AND use protein in your products. 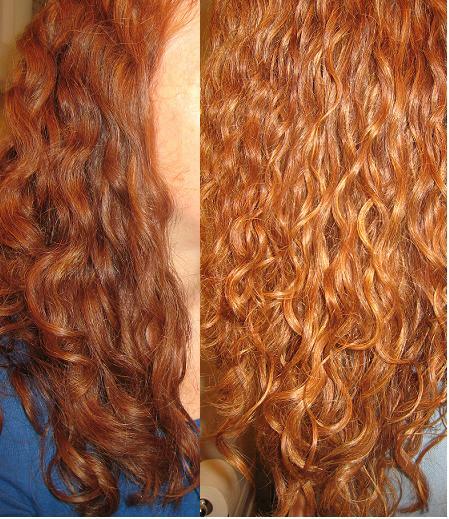 It helps define your curls and reduce the frizz. Depending on the PT you choose, you may have to DT after you do it. Wow, you described my hair nearly perfectly. I have been CG for a little over 2 months. When I first started, my hair seemed thicker and bouncier, but also a lot of frizz. But now my hair is less frizzy, but also seems limp, less curly. I plan on doing a protein treatment this weekend, followed by DT. I really hope my curls come back, but leave the frizz. I did a PT, but didn't do an actual DT, just put some GVP CB on with a plastic cap for ~5-10 min while I was in the shower (stuck my head under the hot water a couple of times). Results - my hair is curlier, I have some ringlets again. But the frizz is back too. But I have to say, I prefer my hair this way, even with the frizz, than when it is less curly. I was thinking about doing a DT tonight, but since it is Halloween I will wait. I've got to man the door, to hand out candy . I try to use a good moisturizing LI, maybe even adding some oil to it, to really calm my hair after a PT. (I don't typically have time for a DT and a PT back to back). Oh! And FSG is good for both (protein and friz) for me! I started slowly with Aubrey Organics GPB but I soon realized I needed harder stuff. I have been using Joico K-park conditioner as a rinse out mixed with a moisturizing conditioner weekly and I really like it but I probably need a full protein treatment. I am afraid of aphogee because I am not a fan of hard hair. I would appreciate suggestions as well. I would suggest the gelatin treatment! It's great! All right, lets see if I can post this picture of what my hair looked like before doing a protein treatment, and then after. Thanks - I am going to try another PT this weekend, and make sure to follow with a good DT. I am amazed at how much my curls can change with different products/conditions/techniques. Now if I can just figure out which products/conditions/techniques do what to my curls - LOL. I hear ya! Just when I think I have it figured out, my hair decides to be in a bad mood. It's like it's in a perpetual state of PMS. Silly hair. I find PT's and DT's regularly helps me a lot. I use gvp k-pak once a week, and a gelatin treatment once a week, sometimes, too. Then I'll do moisture treatment at least once a week, and have started using more LI. My hair seems to want an abundance of protein AND moisture. Your hair looks great with the treatment! What did you use? Jas, I used the GVP K-pak in that pic. But today I tried IAgirl's gelatin PT. 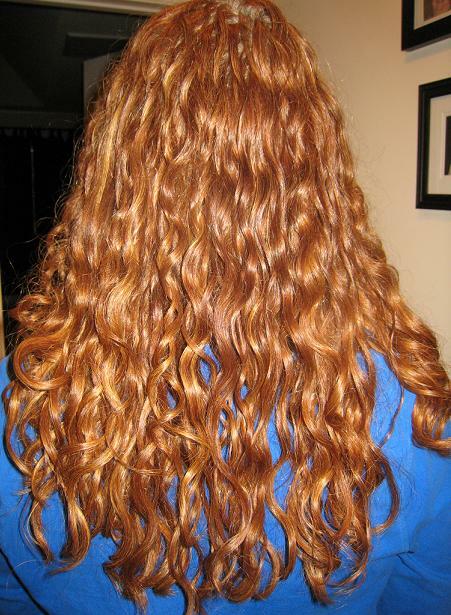 Followed by a DT with Beautiful Curls - Shea Butter Deep Conditioning Treatment. I did the PT for ~5 minutes, then the DT for ~3 min (both with a plastic cap and standing under hot shower). When I got out, I put a little conditioner in, so I could comb it, and part it. Then I used AG recoil (which tends to create this milky stuff on my hair and hands when I start to scrunch it in - but I just tried smoothing out some from where I started, and redistributing it to other parts of my hair). Followed by a small amount of CJ CIB, just smoothed over the crown and length. Next I raked and then scrunched in gel. I did a plopped pineapple for about 30 min, and now I am letting it air dry. I'll try to post pictures, or at least give a description of how it turns out. I used 1 packet of gelatin, 3 TB boiling water, ~1 tsp honey, ~1/4-1/2 tsp ACV, ~1 tsp conditioner, 3 drops Argan oil, and just under 1 TB coconut milk. I added the coconut milk just before I was getting ready to get into the shower, but because it was cold (had been in the fridge), it made the mixture gel up, and I figured I wouldn't be able to get it into my hair like that. So I had to microwave it for just a couple of seconds, enough that it made it liquid again. Here's a picture of how it looked, after SOTC. I think the deep conditioner that I used is too heavy for my hair. If I even use it again, I will cut it with another conditioner. I think the wax and/or oils in it, is stretching out my curls and making my hair limp. Plus it sort of looks dirty and greasy. So, do you think I should try another protein treatment tomorrow, or should I just co-wash to see if I can get some of the wax and oils out? Maybe I should just do a co-wash. Protein 2 days in a row is probably not needed. I've used Aubrey Organics GPB conditioner two days in a row with no ill effects. However, I think this is a light protein in comparison to other treatments. Plus I'm starting to think my hair really loves protein. I might try to add it to my routine is higher and higher amounts until I get to the right balance. I really like how it makes my hair look.